You probably need one if you have speakers that limit the sweet-spot to a single seat in your listening room and you want a friend to join you in enjoying the movie. Voice intelligibility is critical on movie dialog or the show is meaningless. If only one of you can understand the actors, fo-getta-bout-it. With traditional speakers and without a center channel speaker, the dialog is only easy to understand in the sweet-spot. This is much too restrictive in our opinion. Ohm Walsh speakers are different. You probably do NOT need one if you have Ohm Walsh speakers as your main left and right speakers. Since the Walshs’ Sweet-Sweep™ covers nearly the entire room your friends will understand the dialog no matter where they sit. This effect is so amazing that we call it Full Room Stereo™. This YouTube video explains how Ohm achieves this remarkable effect. Basically, the controlled dispersion of the Walshs create a time/intensity trade off that keeps mono sources firmly centered between the main left and right speakers. The Walsh’s extraordinarily natural voice reproduction and wide dispersion make dialog more understandable than conventional speakers – even without a center channel! Test to see you need a center channel speaker (or even an AV home theater set up). It is easy. If you already have a 2-channel music system (or home theater system set to Stereo-Direct) with a TV up front, just watch the evening news. The studio anchorperson should be easily understood from all listening positions. If the voice is only easy to understand from one seat in the sweet-spot, you need the center channel speaker. If the dialog drifts away from the TV screen as you move around from chair to chair, you need a center channel speaker. If the anchorperson stays in the TV and is easily understood from all listening positions, save your money for something else.Different shapes for different rooms. Realizing that physical layout often constrains center channel placement, Ohm makes a variety of shapes of center channel speakers within any given series. When shopping, you should choose the one that matches how you want to place it in your setup. A very popular placement for center speakers is to slide the speaker into a little cubby hole inside of a cabinet, with walls on the sides and a shelf directly above. When Walsh speakers with omnidirectional radiation are placed like this, they produce and objectionable “shower stall effect”. We have solved this problem by building a little anechoic chamber inside the grill of your center channel speaker, shown here with the grill off. The wide dispersion is limited to *only* 120 degrees on the front of the speaker, which is still a lot more than almost any other speaker on the market. 2-Channel Home Theater is possible (and can be very enjoyable!) if your system passed this test. Voice reproduction is the critical element for movies. Even for music only systems, there are cases where you have to place the main left and right speakers very far apart, and your best option may be a 3-channel system. To get 95% of the benefits of a good 5.2 Home Theater system, you need a good pair of speakers that pass the above test and another pair of speakers in the rear hooked up to the same 2-channel stereo amplifier in the Hafler configuration. But, that is a discussion for another blog. Songs to make you speakers sing. 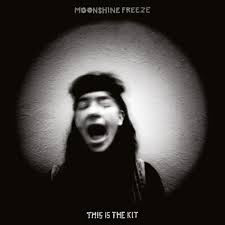 Moonshine Freeze by This is the Kit. If you don’t want to wait for the evening news, this title track works just as well to test for needing a center channel speakers. It is a well recorded track released in 2017, with Kate Stables dead center though out the song. Put on this track with your regular 2-channel stereo amplifier, or with your AV receiver set to Stereo-Direct mode. Listen with a friend, sitting in different parts of the room. Once you’ve got a feel for the song, both you and your friend should close your eyes and point to where you hear the voice is coming from. When you and your friend agree to open your eyes, you should both be pointing to the same spot. Get up and try it again from a different set of seats. If you and your friend can agree that Kate Stables is coming from the same spot in the room when sitting in all of the critical listening positions (and moreover, if you can both understand the lyrics) then a center channel isn’t necessary in your setup. If you find that she drifts from side to side as you move around, or if you have a hard time understanding the lyrics from some positions, a center channel speaker may be useful. Can Recorded Music Sound Better-Than-Live? How Do I Know When to Upgrade My Speakers or My Whole System?